St Finbarrâs GAA Club was active and competitive in the years long before the founding of the Association in 1884. Sean McCarthy, Corkâs great ex President of the Association, writing of the year 1876, recounted how the âBarrâs had beaten Cloughroe, Ballygarvan, Aglish, Carrigaline, Shanbally and Blackrock all in that same year. There can be no doubt that the âBarrâs entered the GAA with the most enviable tradition behind them. How they have upheld this tradition will be captured throughout these pages. Year after year, great hurlers wore their famous blue from Willie John OâConnell of the formative days to Sean Condon and Gerald McCarthy in more modern times. Though the âBarrâs name doesnât appear in the record books until 1899 they had already won an unofficial County in 1890 under Fr OâConnorâs Board. There was political turmoil within the county Board in 1889 and Fr. OâConnor, President of the Board, resigned. Why? He claimed it was a âpackedâ meeting with a lot of non nationalists believed to be associated with individuals who had connections within Dublin Castle being elected. The Barrâs endorsed the view of its president and were supported by Blackrock, Ballygarvan and Ballyhooley who withdrew from the County Championship. Those clubs were suspended along with five others. Aghabullogue was the only higher ranked club to remain loyal to the County Board after Greenmount proposed a motion condemning the expulsions. The disaffected clubs regrouped and formed the OâConnor Board and received support from another rival group North Cork who set up the OâBrien Board. Fr OâConnor, in 1889, presented a Cup for competition which was won by the âBarrâs who defeated the Rockies in the final after earlier seeing of the challenges of St Peterâs and St Paulâs, Greenmount and Little Island. The victorious Barrâs team included the following; John Canniffe, John Cronin, Dan Murphy, Philip Murphy, Wm Callaghan, Michael McCarthy, Dan Knowles, John Nunan, Jeremiah Sheehan, John Sheehan, Dan Sheehan, John Walsh, Denis Carey, James Conway, Thomas Horgan, Willie John OâConnell, Ml OâKeeffe, John Leahy, Tim Desmond, Dan Callaghan, Patrick Murphy. Twenty two teams competed in the Cork and OâBrien Boards County Championship in 1890 for the OâConnor Cup with the Barrâs and Bartlemy winning the respective sections. A huge gathering converged on Mallow town for the decider after which the Barrâs retained the trophy and returned to the city in triumph. Barrâs (21 a side); William OâCallaghan (capt), John Leahy, Ml OâKeeffe, Dan OâCallaghan, Tim Horgan, John Walsh, James Barrett, Dan Murphy, James Keegan, Denis Carey, Michael Casserly, Willie John OâConnell, John Canniffe, Philip Murphy, James Dennehy, Denis Bradley, Ml McCarthy, Jerh. Sheehan, Denis Halloran, Michael Sheehan, John Noonan. It was ironic that when the Barrâs claimed their first official county championship in 1899 that their opponents were arch enemies Redmondâs to which most of their stars had defected eight years earlier. Sadly, that darling hurler inter county star Willie John OâConnell was an absentee. Willie John was revered in the parish and was destined for greatness. A fast, sweet hurler he was a long serving Barrâs captain. He loved hurling and lived for it. Then fate decreed that he should also die for it. In training with the county team in the Park, on the 25th April 1897, he received an accidental blow to the head from which died. Whatever other differences and prejudices existed the 1899 final was worthy of the sport and the men. Both teams fought manfully in a sportsmanlike spirit to secure the laurels of victory which went to âthe Gallant old Bluesâ by the slenderest of margins. Barrâs : J Young, P Conway, W Moloney, M Sexton, C Young, J Young, W Sheehan, D Sheehan, J Harrington, D Harrington, J Cashman, T OâKeeffe, T Foley, P OâSullivan, J Kelleher, J Delea, C OâLeary. 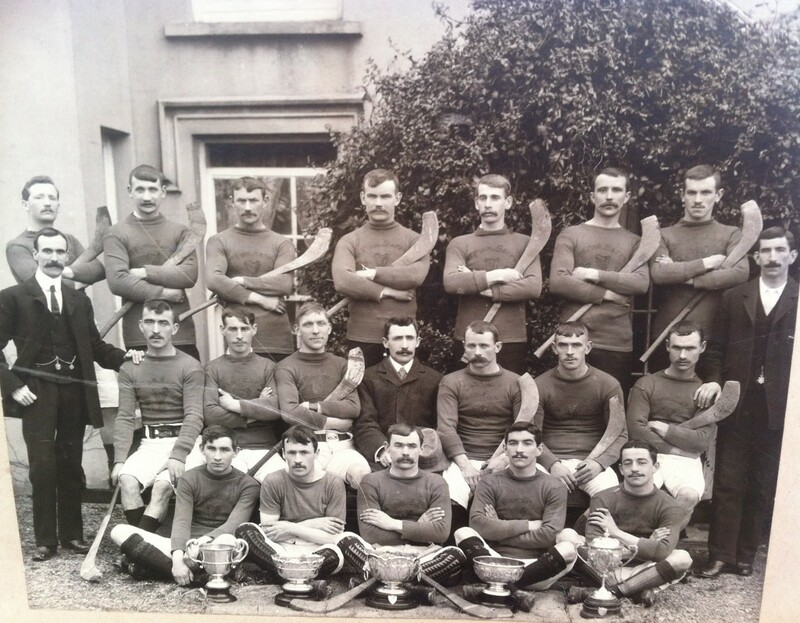 St Finbarrâs Hurling Club Cork County Champions 1899. Back: Paddy Canniffe, Dan OâBrien, Mick McCarthy. Third row. : Josie Kelleher, Wm âBillexâ Moloney, Jack Delea, Pat OâSullivan, Jim Young, Jack Cantillon, Cocker Foley. Seated: Mick Sexton, Rocket Sheehan, Tim Murphy, Paddy Conway, Faun Harrington, Christy Young. Front: Jim Harrington, Sugar Sheehan. Missing from photo: Con OâLeary, Tim OâKeeffe. Barrâs recorded their biggest tournament success in 1902 when they won the Cork International Exhibition Tournament staged as part of the attractions of the International Exhibition held in Cork. It was intended that the hurling would be worthy demonstrations of the skill and excitement of our native pastime. The event attracted exhibitors from across the globe, displaying their industrial, agricultural and artistic wares. It opened on 1 May 1902 amid scenes of celebration and enthusiasm. Its success surpassed all expectations, attracting visitors from all over Ireland, Europe and beyond. Over a million people attended the exhibition and itâs not certain if the royal guests, King Edward V11 and Queen Alexandra, got to witness the Barrâs triumph. For three consecutive years (1904-â06 ) they dominated the senior championship winning three counties in a row as confusion reigned in that period; the 1904 final was two years behind schedule; the Barrâs, conquerors of All-Ireland champions Dungourney in the semi-final, gained a bloodless victory when, an eternity later, final opponents Castletownroche failed to put in an appearance. Delays continued and the 1905 competition was never played. In the belated 1906 county renewal Barrâs and Ballymartle qualified for the final and it was agreed that the championships of both 1905 and 06 would be at stake. Ballinhassig was the venue and on a bitterly cold day in early February 1907 Barrâs were victorious. Barrâs ; David Hurley, Christy Young, Billix Moloney, Denis OâLeary, Jackie Cotter, Christy Nolan, Denis Harrington, Michael âBachusâ OâLeary, Eugene Long, PaitchÃ­n Sullivan, Jim Harrington, B Young, Denis McCarthy, William âRocketâ Sheehan, JohnâDowdyâ Kelly, T âCockerâ Foley, Denis âSailorâ Sheehan. Subs: John Delea, Murty Downey, P Conway, Charlie Punch, P Flannery, Denis Linehan, J Twomey. 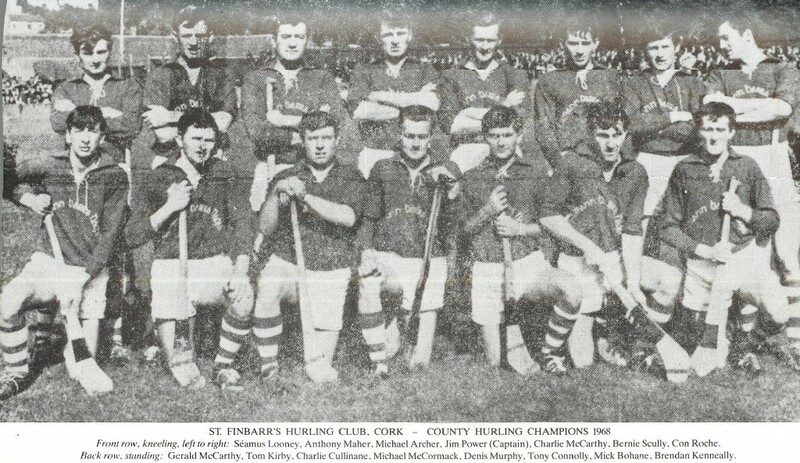 St Finbarrâs Cork County Hurling Champions 1904-â05-â06. Back: C Young, D Sheehan, W Kelly, W Moloney, D Linehan, J Delea, J Twomey. Centre: M McCarthy, M OâLeary, D Hurley, D McCarthy, J Young, D Harrington (capt), D OâLeary, W Sheehan, J Long, Front: P Flannery, B Young, J Harrington, E Long, C Nolan. This was probably the last match Rocket Sheehan played for the Blues as he emigrated to Detroit. He carried his camÃ¡n with him and was instrumental in organising a hurling team in his new home district. Old time scribes agree that some of the Barrâs legends were amongst the gamesâ greatest exponents. Bachus Leary had few equals, Christy Young was rock solid and a match for any mortal, the Harringtons were exquisite hurlers while Christy Nolanâs stickwork was not matched until the emergence of Tipperary great, DâArcy. Patcheen Sullivan was another master craftsman and along with Bachus was chosen by Blackrock for their All-Ireland conquering side in 1903. Famed hurling families, the Dooleys and Sheehans, combined to form the districtâs first camogie club in 1905; Mary Agnes Sheehan ( sister of âRocketâ) and Katie Dooley (daugher of Tom) formed Clan Eimear based in the Gould Street area who were trained down in the Lough by Liam RuisÃ©al, the well known bookseller. However, not all were pleased with the prospect of women playing hurling and Fr Fleming of the Lough Parish condemned what he termed the unfeminine activities of the camogie players. Even though their membership was never continuous they remain as one of the oldest surviving clubs in the county. When Cork beat Antrim in the 1911 All-Ireland Football final Barrâs hurlers Jack Young and Paddy OâConnell, representing Nils Gaelic football, starred on the winning team. 1919 was a red letter year in the history of the club. For some years they had been going through a lean period mainly because the Parish had two rival senior teams pulling against each other- Fr OâLeary TA Hall and the Barrâs. Both suffered as a consequence and an amalgamation was agreed, Connie Neenan , Denis Ring, Jack Dorney, Tom Ahern, Pat Canton, John Herlihy and the legendary Dannix Ring all switching to the Barrâs. This union was a blessing and the parish was united behind the Blues. The alliance of the two clubs brought together a first class combination of players. The Lough Parish team set new standards and remained unbeaten for 18 months, bridging a ten year gap when comprehensively defeating the Rockies in the county final. The âMagnificent Sevenâ from Fr. OâLeary Hall were joined by Dan Coughlan, John Finn, Tim Finn, Jerry Beckett, Stocky Cronin, Jim âSpudâ Murphy, Brawny OâBrien and Joe Ronayne. Barrâs County Champions 1919-â22â23. Back: D Ellis, D Cahill, M Callanan, J OâDonoghue, J Lynch. 3rd Row: Fr Barrett, T OâBrien, F Murphy, D Ring, J Bennett, P Ryan, M OâConnell, J B Murphy, P Canton, Fr Cahilnane. Seated: J Higgins, J Clarke, S Murphy, J Herlihy, M OâBrien, T Finn, D Coughlan, J Dorney, D S Ring. Front: M Cronin, T Cronin, C Cronin. Ten days later, 21 September, Cork was back in the All-Ireland Hurling final and wore the red jerseys discarded by the defunct Fr OâLeary Hall team. Despite their immense displays throughout the county championship campaign the Barrâs only representative on the team which defeated Dublin was Dannix Ring. Danny Coughlan, an iconoic figure, was a sub. Spud Murphy who had been a regular on the county team for over a decade was denied the opportunity of gaining the coveted Celtic Cross. Spud was one of the countryâs most popular players and his clashes with the great Tyler Mackey of Limerick were always worth the admission alone. 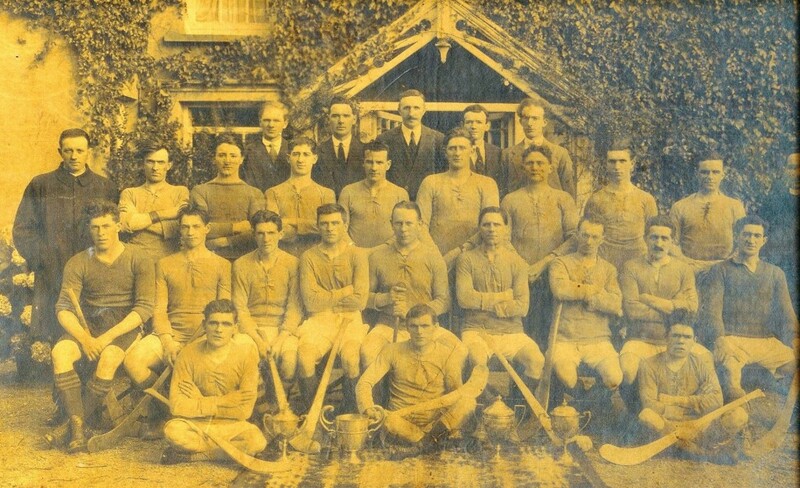 Long Life to the Gallant Old Blues â Barrâs Cork County Senior Hurling Champions 1926. Back: J Lynch, J Canton, L Kenneally, Dr J Kearney, J OâKeeffe, S Murphy, J B Murphy, D Ellis, J Harrington. Third row: C Callanan, T Finn, J Clarke, E Keating, T Lee, M OâBrien, M OâConnell, E Lynch, E OâMahony, J Donnery. Second row: C Harrington, D Callanan, A OâRegan, D Coughlan (capt), Fr P Cahalnane CC, T OâBrien, Dan Ring, Denis Ring, C OâDonovan. Front: T Cronin, C Cronin, M Cronin, E OâHalloran. Amazingly, at the 1926 AGM, it was suggested by several members that the club should drop down to Intermediate grade. Common sense prevailed and they continued as a senior club. Before that historic year was out those doubters were made look very foolish indeed. Barrâs again qualified for a crack off Blackrock when they defeated Shamrockâs at Turnerâs Cross, a ground they hated and requested never to be fixed to play in. Blackrock, containing ten of the side (Barrâs had just Dr Joe Kearney with Mick OâConnell Sub) that had hammered Kilkenny in the All-Ireland final were deemed unstoppable which suited underdogs St Finbarrâs. After one of the toughest contests witnessed for years Barrâs tore the form book to shreds and astounded the immense crowd when outplaying the All-Ireland Champions. St Finbarrâs: D OâKeefe, D Coughlan (capt), E Lynch, J B Murphy, J Canton, J Clarke, Danix Ring, T OâBrien, T Lee, M OâConnell, J Kearney, C OâHalloran, C Cronin, L Kenneally and Denis Ring. âWhen we meet them again weâll defeat themâ wasnât sung as lustily the following year as the Blues were eliminated by the Rockies in the first round. The county team entered a very successful period and annexed All- Ireland titles in 1928, â29 and â31 with Barrâs star Micky OâConnell picking up three Celtic Crosses. Bill Stanton and Johnny Kenneally earned medals as subs. In 1929 Johnny played minor and senior; the star of the county minor team he was withdrawn by the senior selectors from the side which defeated Dublin as the delayed 1928 final was eventually played as a curtain raiser to the 1929 McCarthy Cup final. Disappointed not to have won his minor medal on the field of play he showed his class by helping Cork defeat Galway in 4-9 to 1-3 in the senior final. Barrâs appeared in the list of teams participating in Gaelic football for the first time in 1928. They were defeated by Eire Ãg in the 1928 hurling semi and went a step further in â29 when they lost to great rivals Blackrock. 1930 proved to be disappointing as the Barrâs were sent packing by unrated Mallow in the early stages of the championship. However, it was a significant year marking the clubâs first football success as the Intermediate team won the County defeating Dromtarriffe. Blackrock edged further ahead in the hurling championship roll of honour when, after seeing off the challenge of the Blues in the penultimate stage, they defeated Eire Og in the decider. Barrâs gained revenge in 1932 when they lowered the colours of their ancient rivals in the semi-final and then completed the job when seeing off the brave challenge of Carrigtwohill in the final. Barrâs: J Buttimer, E Kingston, D Lynch, J OâSullivan, M OâConnell, C Cronin, F Murphy, J Lehane, D Stanton, W Stanton, Miah Kenneally, Johnny Kenneally. W Stanton, J Riordan, P Corcoran. Subs: M OâMahony, M OâConnor, P OâDonoghue, D OâMahony, D OâHalloran. Barrâs County Champs 1932-â33. Back: M Corcoran, J Murphy, E OâCallaghan, J Lehane, Miah Kenneally, P Corcoran, D OâMahony, J Murphy, T Ahern. Middle: J Twomey, M OâConnor, P OâDonoghue, E Kingston, D OâHalloran, M Murphy, D Crowley, P Archer, M OâMahony, M OâConnell, D Cahill. Front: J Buttimer, D Stanton, W Stanton, M Callanan, Fr Cahalane, John Kenneally (Capt), C Cronin, J OâRiordan. Carrigtwohill, the pride of East Cork, binned the âflash in the panâ tag when a year later they qualified for another crack off the Barrâs who needed a replay before retaining their title. Barrâs: J Buttimer, P OâDonoghue, M J OâConnor, J OâRiordan, , D Lehane , J OâSullivan, D OâMahony, P Archer, M OâConnell , C Cronin, W Stanton, Jer Lehane, D Stanton, Miah Kenneally, Johnny Kenneally. From that year things were never going to be the same as the rise of mighty Glen Rovers (eight counties in a row 1934-â41) coincided with the decline of other senior clubs. They defeated the Barrâs convincingly in â34 to claim their first crown. In 1935 the first Eucharistic match was played on Procession Sunday and Barrâs defeated Carrigtwohill. The Cork County Board refused a request from the Barrâs to have Irish soccer international Miah Lynch reinstated. In November 1935 the outstanding St Finbarrâs Gael Tom Dooley, âthe Patriarch of The GAAâ, whose name was linked with the foundation of the Association, died. Throughout its 57 years in control of Gaelic games, the Association has rarely had the service of one more loyal, more true to its ideals, or more self sacrificing in his labours than Tom Dooley. 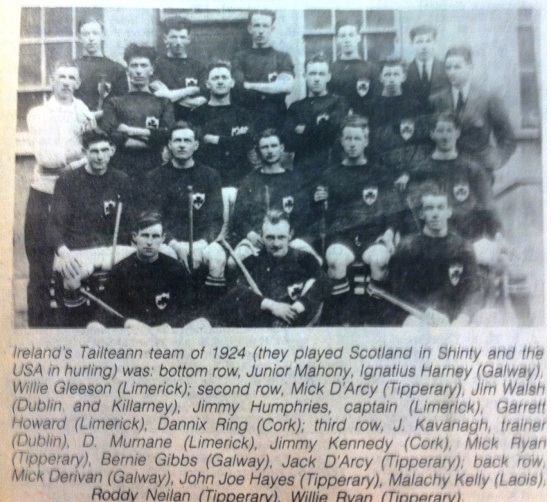 Barrâs made their debut in minor hurling in March 1937 and won the Minor County in 1939 introducing stars who would in future years contribute enormously to successes for Barrâs and Cork. These precocious minors went on to complete a hat trick of county titles and three dazzlers Tom Mulcahy, Mick Kennifick and Sean Condon, with Jim Buttimer and Derry Beckett, became part of the four-in a row sides which brought unprecedented All-Ireland successes to the county. In 1943 Mick Kennifick, not yet 18 captained the side which destroyed Antrim. And, the following year the four-in-a-row was completed when, captained by Sean Condon, they hammered Dublin. Buoyed by the instant success of the minor hurlers a football team was entered in 1941 and within twelve months had a landslide victory defeating Bantry in the county final. Barrâs Minor County Champions 1939, â40 â41. Back: A Cotter, T Cronin, T OâHalloran, J Good, L OâConnor, J McCarthy, T Healy, B Murphy, O Leonard, M Corcoran. Middle: J Neenan, J Ronan, J Murphy, J Richardson, M Kennefick, S OâCallaghan, J Smyth, J Davis, J Buttimer. Front: P Ronan, P OâLeary, M Kickham, D McCarthy, S Condon, Br Majella, T Corcoran, J Morrison, T Mulcahy, E OâConnor, J Twomey. Barrâs County Champions 1942-43. Back: j OâSullivan, T Corcoran, L Moriarty, S OâCallaghan, J Barry Murphy, J Goulding, j Buttimer. Middle: D Coughlan, S Kennefick, T OâHalloran, D Cremin, P Flaherty, R Kavanagh, J Long, P Corcoran. Front: J Dorney, W Beckett, W Campbell, M Kennefick, Rev Fr Cahalane, J Horgan, S Condon, M Kickham, J Neenan. 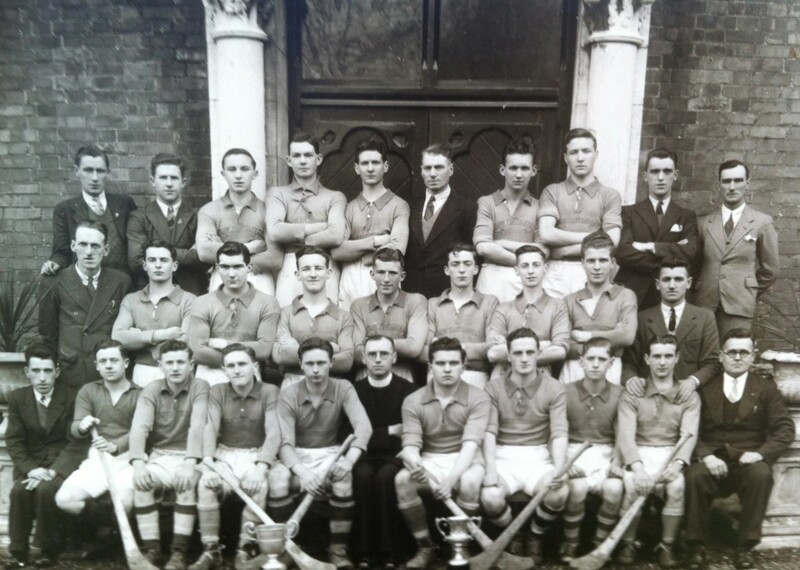 The nurturing of the minor hurling squad paid rich dividends in 1942 when the Barrâs ended a barren spell defeating Ballincollig in the County Senior Hurling final: Barrâs: J Buttimer, J Murphy, J Horgan, H Atkins, S Condon, M Kennefick, J OâSullivan, B Murphy, D Cremin, W Beckett, J Morrisson, J Barry Murphy, D McCarthy, T OâSullivan, D Beckett. Sub: T Mulcahy. A little bit of trivia; it has been suggested that it was after this county victory that the cup was brought to Moks Bar, Phairs Cross for the first time. Bonfires blazed in Phairâs Cross again the following season when Barrâs, in a repeat of â42, defeated Ballincollig after a replay. Lady luck smiled on them as, in the first match, with time running out they trailed by a goal â Sean Condon came to the rescue when he blasted a free to the net to earn a reprieve. Barrâs: T Mulcahy, S OâCallaghan, J Horgan, J Murphy, W Campbell, M Kennifick, L Moriarty, S Condon, D Cremin, J Barry Murphy, T OâSullivan, J OâSullivan, D McCarthy, T OâHalloran, W Beckett. Sub: T Corcoran. 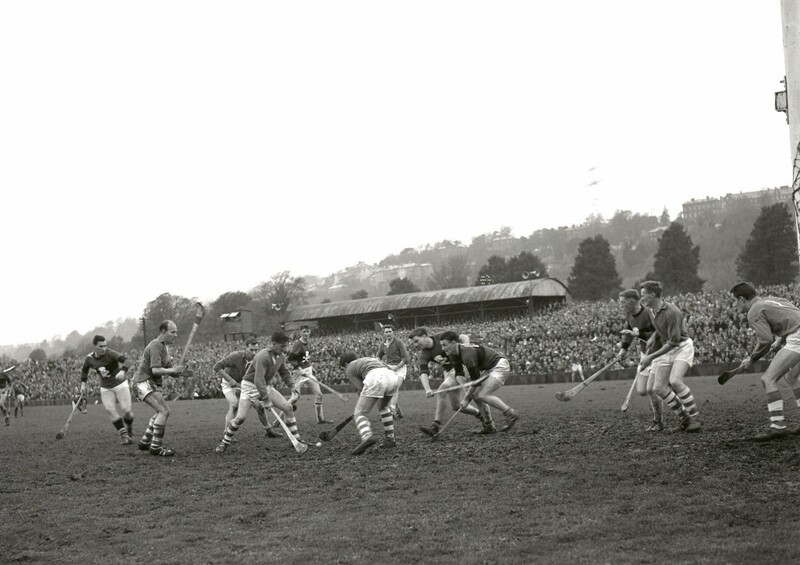 Barrâs contested their third consecutive hurling final in 1944 but the hat-trick was denied when Glen Rovers proved a little too good on the day. The emergence of the Barrâs as a force in minor football had not gone unnoticed and Lees Gaelic Football club sought a merger with them proposing that the Blueâs members play senior under the Lees name. This was rejected and the Barrâs upgraded to senior and played their first championship match during the 1946 season. 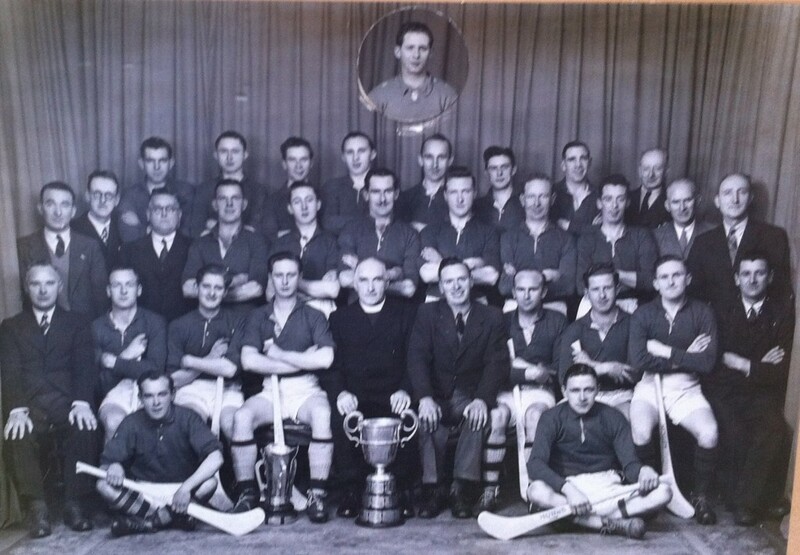 Derry Beckett, an All-Ireland Senior hurling medallist during the four-in-a-row years, joined the elite band of dual winners when he helped Cork defeat Cavan in the 1945 football decider. Barrâs met Glen again in the semi-final of the â45 County Senior Championship and this time the result was never in doubt as they suffered the heaviest defeat in their history when on the receiving end of a 10-8 to 2-3 hammering. The footballers, who included inter county players Derry Beckett, Paddy OâDriscoll and Con McGrath, made their senior debut in 1946 and reached the penultimate stage where they were defeated by a solitary point by Fermoy. The weeks preceding the 1946 County final were very acrimonious as finalists Barrâs and Glen were locked in debate over the date for which the final was originally fixed. It eventually took place five weeks later in mid November and the Blues created a mild surprise in regaining their crown following a low scoring tussle. Veteran Miah Lynch, a junior medallist with Geraldines in 1923, who had a reinstatement application rejected seven years earlier, performed brilliantly to earn his first Senior County medal. His magnificence, coupled with that of the magical Sean Condon, were the pillars that the Glen failed to breach. Barrâs : T Mulcahy, Miah Lynch, T OâHalloran, S OâCallaghan, P Coughlan, J Kenny, S Condon, P Gallagher, D Cremin, D Keating, J Goulding, W Beckett, D McCarthy, A Beckett, D Beckett. Sub: M J OâDriscoll. Twelve months later an extraordinary final â the first between Barrâs and Sarâs â was watched by a record crowd. All the neutrals were roaring for Sarâs and were within minutes of saluting them as new county champions. 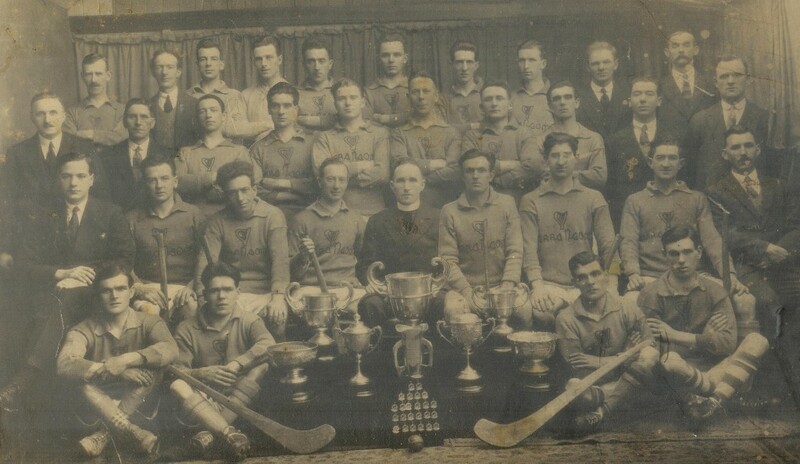 Leading by a point as the game entered injury time they failed to clear a seventy which was flicked to the net by Jim Sargent to give the Blues their 14th title. Barrâs: T Mulcahy, M Lynch, T OâHalloran, S OâCallaghan, Rev Fr Cottrel, J Kenny, J OâSullivan, S Condon, H Gouldsborough, J Goulding, Rev Fr Gantly, J Sargent, W Beckett, B Murphy, D McCarthy. The decade of restrictions and rationing had been kind to the Barrâs and as the strong squad began to age together they were beaten by Blackrock and the Glen in the early rounds of the â48 and â49 championships. A new team was about to emerge containing the bulk of the side which won a minor county title in 1948. Despite the fact that Con McGrath, Weeshie Murphy, Derry Beckett, Bernie Murphy, Tom Redmond and Paddy OâDriscoll all represented the club in the late forties and early fifties on Cork senior football and Munster Railway Cup teams the Barrâs disappointed in the county championships. However, the future looked bright as underage teams in Togher were flying in all grades. The fifties began with another Barrâs v Glen county final. Barrâs disappointed in the extremely heavy underfoot conditions and the northsiders were not flattered by their three goal winning margin. A feature of the game was a huge long puck from Miah Lynch from his goal line which went wide at the far end (a distance of over 160 yards). 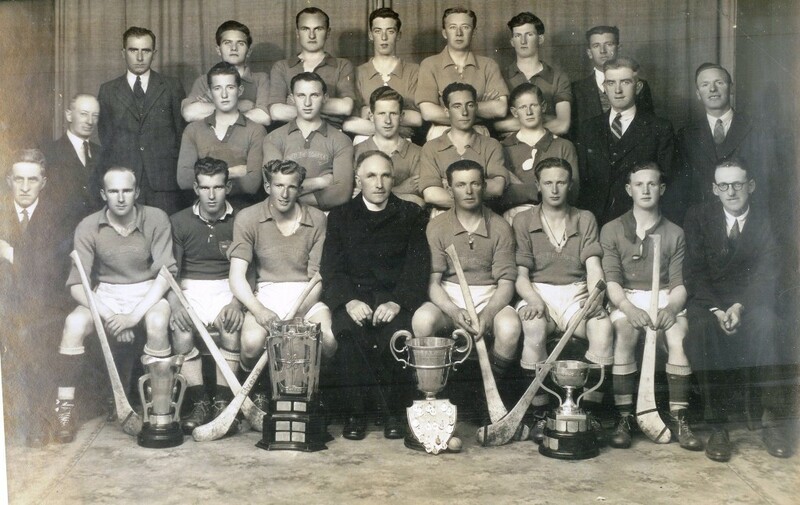 The county senior hurlers enjoyed a golden spell, winning three All-Irelandâs in a row 1952-â54, with Tony OâShaughnessy of the Barrâs distinguishing himself in the hat-trick of victories. In 1952 history was made when Avondhu became the first divisional side to win the County Senior Hurling Championship. They accomplished the feat with a two point victory over the Barrâs. The Blues who had entered a transitory period in 1953 had the ignominious record of being defeated in the championship in consecutive years by divisional teams when ousted in the early stages by Imokily. The mixture of the new and old â the vets and the youngsters â took a while to gel and, in the process of rebuilding, were no match for the Glen in 1954 that defeated them in a rough controversial encounter. Patience is a virtue and the improvement in the following year was spectacular though unexpected. The gallant Blues marched to another county final meeting with their arch rivals Glen Rovers. It was thought that the learning process would continue for a while and the Glen were installed as red hot favourites. Barrâs surpassed all expectations and led the Glen until the 59th minute when a Mick Quane point sent the tie to a replay. The majority of those present believed that the Blues had left the trophy behind but they answered the doubters in the 30,000 plus attendance by inflicting a heavy 7-8 to 2-6 defeat on the Glen. Mick Ryan, a veteran and holder of three All-Ireland medals with Tipp, Mossie Finn, Jimmy OâGrady, Micky Joe Driscoll, Jimmy McKenzie and teenager Derry OâDriscoll were in outstanding form but it was a tremendous team performance which gave them the great win rivalling the 1926 triumph as the greatest yet. If there were Man of the Match Awards in those days Jimmy McKenzie, who put the shackles on the immortal Christy Ring, would have been a deserving winner. Barrâs: J Cotter, j McKenzie, A OâShaughnessy, M J OâDriscoll, J OâGrady, M Ryan, S OâCallaghan, M Finn, D OâDriscoll, J OâSullivan, T Maher, W Walsh, W McGrath, J Ring, T Cronin. J Russell played in the drawn match. A few weeks earlier the Lough League,â hurling by the Lough for childrenâ, was reformed. Glen gained sweet revenge for their massive defeat when overcoming the Blues in the 1956 semi-final. Barrâs gained some consolation when a fine junior side brought the first ever county in that grade to the parish when they defeated Castletownroche. Despite the Glen defeat 1956 turned out to be one of the most memorable in the clubs history. A new chapter in history began when a magnificent football team outclassed Millstreet in the 1956 County Senior Championship final. The long road to success was dotted with failures, but perseverance, determination and dedication by players and officials alike, culminated in the first senior county football title, achieved by a team of both young and experienced players who produced a brand of fast, skilful and intelligent play which came as a shock to those who regarded the Barrâs as primarily a hurling club. Barrâs victory changed the face of Cork football. They implemented a new slick passing game which appealed to the 14,000 fans that paid to see the exhibition. Pat Woods and Bobby Nutty (aka Purcell and Stockwell) were the strategists. 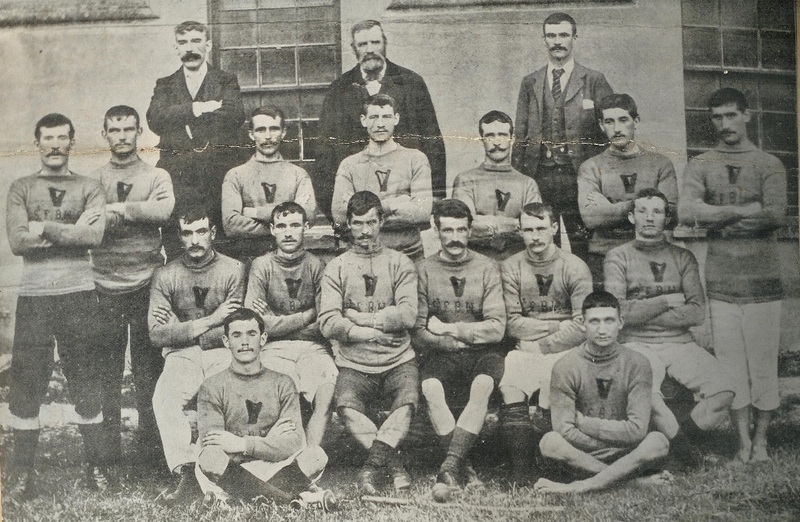 Sean Beecher in his book âThe Bluesâ wrote,âit was a famous victory for the blues, as all first victories are, and the success added a new dimension to the activities of the club. No longer could football be considered merely an addendum to hurling, a game played by hurlers when they had nothing else to do. The winning of a County championship could not be ignored. Football was now part of the Barrâsâ and the team responsible for the climate change was: Georgie McCarthy, Mick Keating, Tom Redmond, Tony OâSullivan, Mick Carey, Eoin OâConnell, Stanley Roche, John OâDriscoll, Donecha Murphy, Micky McCarthy, Pat Woods, Liam McGrath, Tim Cronin, Bob Nutty, and Tony OâShaughnessy. Sub: Barry Studdart. Was it a flash in the pan? To be recognised as true champions a great team would have to retain their title and they answered the doubters by marching to consecutive finals and a meeting with renowned Lees. Not as impressive as they were the previous year the Barrâs did the business but needed a replay to see off the dour challenge of their respected opponents. Barrâs: Georgie McCarthy, Mick Keating, Mick Carey, Tony OâSullivan, Eoin OâConnell, Derry OâDriscoll, Stanley Roche, Barry Studdart, Donncha Murphy, Mick McCarthy, Donal Hurley, Liam McGrath, Timmy Cronin, Bobby Nutty, Pat Lougheed. Subs: Tony OâShaughnessy, W OâMahony, M McCarthy. 1957 began in disastrous fashion for the senior hurlers when they were embarrassingly defeated by divisional side Seandun in the opening round of the championship. Barrâs hurlers did their best to erase the bitter memory of the defeat by Seandun and for the remainder of an eventful season they restored pride. 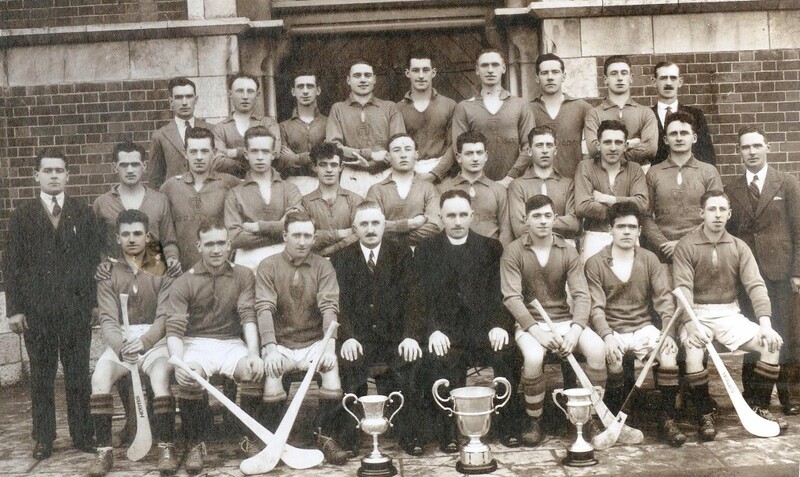 They became the first and only Cork team to win the Annual Churches Tournament (unofficial All-Ireland Club title) when they defeated the team deemed to be the countryâs best, Bennetsbridge of Kilkenny. âLords of the Hurling Worldâ the terminology used in the media to describe the victory must have been a source of great annoyance to the custodians of the county senior hurling championship from which they made their exit in round one. !958 was a roller coaster year for Barrâs supporters with both the hurlers and footballers qualifying for the county finals. The footballers had the opportunity of completing the first leg of a historic double but that and dreams of three-in-a-row went up in smoke when they were defeated by Macroom in a disappointing low scoring final. Three weeks later the hurlers played their part in another enthralling episode of South versus North County finals. It was a classic and the Blues featuring several veterans and final debutant Peter Doolan made a brave bid to regain their crown. Four goals down at the interval they threw everything bar the kitchen sink at the Glen who clung on for a narrow victory. The decade ended disappointingly for the hurlers as, minus the services of Doolin, they were hammered by rampant UCC in the first round of the county. The footballers, the team of the decade, regained the county title when dethroning holders Macroom in a very low scoring hard fought encounter. Barrâs: G McCarthy, M Keating, T Mullane, A OâSullivan, M Horgan, D OâDriscoll, D Hurley, E OâConnell, J OâDriscoll, P Lougheed, S OâConnell, M McCarthy, T Cronin, L McGrath, S Roche. Subs; D McCarthy, D OâSullivan. 1959 Champions. Back: T OâMullane, S OâConnell, D OâDriscoll, M Carey, J OâDriscoll. T OâSullivan, D OâSullivan, W Walsh, P OâSullivan, G McCarthy, T Canty. Front: D McCarthy, M Horgan, M McCarthy, E OâConnell, D Hurley, T Cronin, P Lougheed, S Roche, M Keating, L McGrath, P Fitzpatrick. Four senior counties came to the club during the fifties â three football and one hurling. You would imagine that the footballers had the earned right to be treated as equal partners within the club. However, hurling fundamentalists were not easily moved and huge conflicts of interest had arisen after the purchase of the club grounds in 1956 and would continue unabated for almost a decade afterwards. The conflict wasnât resolved until 1968 with the formation of Central Committee which became responsible for club administration and financial functions. The sixties had a controversial beginning when the implementation of the strict disciplinary measures invoked by Chairman Bob Hurleyâs committee turned into a farce and resulted in seventeen suspensions being handed down. The Trojan work of the under age division which included Tommy Sullivan, Johnny McCarthy, Denny âSaw Dinâ McCarthy, Jim McCarthy, Mick Murphy, John Neenan and Donal Murphy, bore rich fruit when, apart from continuous juvenile successes, County Minor Football Championship victories were recorded in 1959-and â61. The icing on the cake was the performances of their protÃ©gÃ©s Denis Philpott, Vincie Cronin, Gussy Harrington and Mick Archer on the side which brought the first All-Ireland Minor Football title to the county. The opening year of the decade was a disastrous one for the club. Maybe the disciplinary measures and suspensions affected the morale out in Togher! It looked that way anyway as the senior teams looked extremely threadbare âthe hurlers got an embarrassing hammering from Seandun in round one while the footballers lasted just a step further and were beaten by Beara. Apart from back-to-back Minor football county success â61 and â62 are best forgotten. The new grounds at Togher, named Pairc UÃ­ NaoidhneÃ¡in after former player Con Neenan who provided an interest free loan, were officially opened in September 1962. Few teams had at the time grounds of their own and the occasion at which General Secretary Padraig Ã Caoimh performed the opening was a giant step in history. The only presentations to take place in 1963 were another set of minor county medals to the footballers who had completed 5-in-a-row city and a hat trick of counties. From those ranks emerged some of the best players in the history and before that year ended youngsters Gerald McCarthy and Charlie McCarthy made their senior debuts. Those gifted hurlers were joined within months by more âkidsâ Tony Maher and Con Roche. Peter Doolan had returned from America and a formidable team, which included classy new keeper Jim Power, began to take shape. Barrâs and Glen qualified to meet yet again in another county final when, despite the outstanding efforts of young Roche, Glen deservedly took the spoils. The footballers showing improvement on previous years were dismissed at the penultimate stage by UCC. Lest we forget â â64 was a red letter year for the ladies who claimed their first trophy when defeating St Allâs in the Junior championship. Barrâs been given an early opportunity to gain revenge for the final defeat when paired with the Glen in the early rounds of the â65 tourney and did so in style. It would have been a shame if, after knocking out the champions, they wouldnât go on to complete the job. Fielding a young side, only a few whom had won Cork county hurling medals , they outclassed UCC in a one sided final: Barrâs: J Power, P Doolan, B McKeon, T Mullane, T Kirby, D Murphy, A Maher, G McCarthy, W Doyle, C Roche, W Walsh, T Connolly, M Archer, J McCarthy, C McCarthy. Barrâs Senior Hurling Champs 1965. Back: Jim Goulding, Brian McKeon, Peter Doolan, Tom Kirby, tony Connolly, Jerry McCarthy, Willie Doyle, Denis Murphy, Mick Murphy. Front: Jim Power, Mick archer, Charlie McCarthy, Tim OâMullane, Charlie Cullinane, Con Roche, Tony Maher, Gerald McCarthy. Earlier in the year Con Roche became the first high profile star to be suspended for breach of the Ban Rule since Derry Beckett in the forties. He was one of four players who, a fortnight later, were attempting to bring off the historic senior county double. Alas, it was not to be as in atrocious conditions they missed out when narrowly beaten by St Nickâs. The Glen sister club were definitely a bogey team to the Blues as, twelvemonths later, they repeated the dose when scraping home by a single point. Even though Barrâs failed to retain their hurling crown it turned out to be an amazing year with wild scenes being witnessed in the Lough Parish watering holes. The cause of the celebration was a victory for Cork hurlers, captained by Gerald Mac, who in 1966 bridged a 12 year gap when surprisingly defeating Kilkenny in the All-Ireland final. Peter Doolan and Denis Murphy got the medals they craved and youngsters Tony Connolly and Charlie Mac were others who dazzled in Croker. Rochie who gained his first Celtic Cross as a sub against the Noresiders was, along with Gerald (capt) and Charlie on the Cork team which triumphed over Galway in the u21 decider. Brian McKeon and Tony Maher who played in defeat of Limerick in the Munster final were subs. Barrâs were on course to retain their crown when dismissing the Glenâs challenge in the second round. However, they came up against a Seanie Barry inspired UCC in the semi-final and were beaten by seven points. In 1967 they experienced the agony and the ecstasy. The ecstasy when they brought the 1966 Munster Club Championship home for the first time with a resounding win over Mount Sion (Waterford). The agony being their failure to prevent the Glenâs coming of age â a 21st Senior County. Inspired by Gerald Mac and Peter Doolan Barrâs contributed greatly to a wonderful final played in atrocious conditions. In contrast the following yearâs final was played in brilliant sunshine and the Blues, captained by Jim Power, regained their title with a two point win 5-9 to 1-19 over gallant Imokilly. 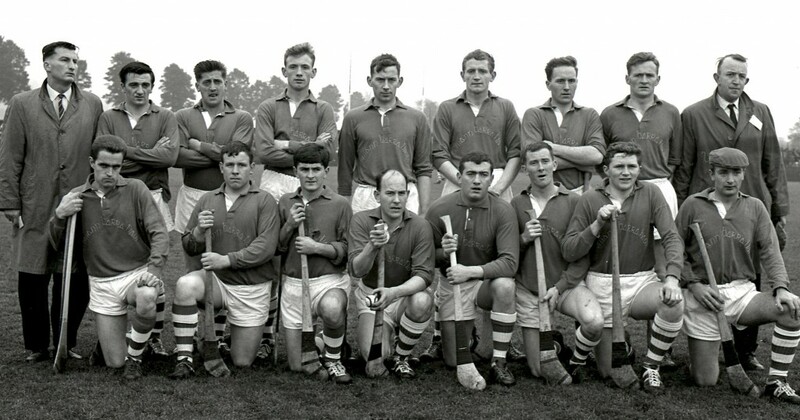 1968 Barrâs : J Power, M Bohane, M McCormack, D Murphy, T Connolly, A Maher, C Roche, G McCarthy, S Looney, T Kirby, B Scully, C McCarthy, C Cullinane, M Archer, B Kenneally. Sub: P Freeney. Barrâs were knocked out by UCC in 1969. Seamus Looney who won his first county with the Blues in â68 was one of the College stars. Surprisingly, there was no championship joy for the Barrâs in 1970 as both hurlers and footballs departed early. A surprise because the Blues hurlers were laden with inter-county stars, having contributed six â Tony Maher, Con Roche, Gerald Mac, Seamus Looney, Charlie Cullinane and Charlie Mac â to the side which helped Cork defeat Wexford in the All-Ireland final. Tony Maher was named Munster Hurler of the Year emulating Denis Murphy who received the accolade in â69. 1971 was a momentous year as all but two counties voted to delete rule 27 (the Ban). At the Cork convention a motion to delete the Ban was proposed (not for the first time) by the Barrâs. Mick Archer contributed 3-1 of the tally when the Glen were defeated in the county semi earning qualification to meet the Rockies, for the first time in 42 years, in the final. It was to be a first championship final for minor player Jimmy Barry Murphy who went on to become one of the greatest dual players in the Associationâs history. It was a final with too much tension resulting in unruly episodes and a very acrimonious battle ended with the title going down to the fishing village. A subsequent County Board enquiry resulted in Charlie Cullinane, Bertie OâBrien and Denis McCarthy of the Barrâs along with Simon Murphy and John Horgan (Blackrock) receiving suspensions. Charlie Mac, Tony Maher, Pat Geary, and Brendan Cummins were cautioned. However, a decision to suspend Gerald McCarthy (a player who had never been sent off in an illustrious career) for one year was widely condemned. At a banquet later in the year Tony Maher became the first from the club to receive a GAA All-Star award. The Annual GAA Congress was held in the St Finbarrâs Pavilion in 1972 â the first time it was held outside Dublin. The ladies of the Parish, no doubt imbued with a new pride in their club and the association, reformed the camogie section and this time they were determined to stay the distance. 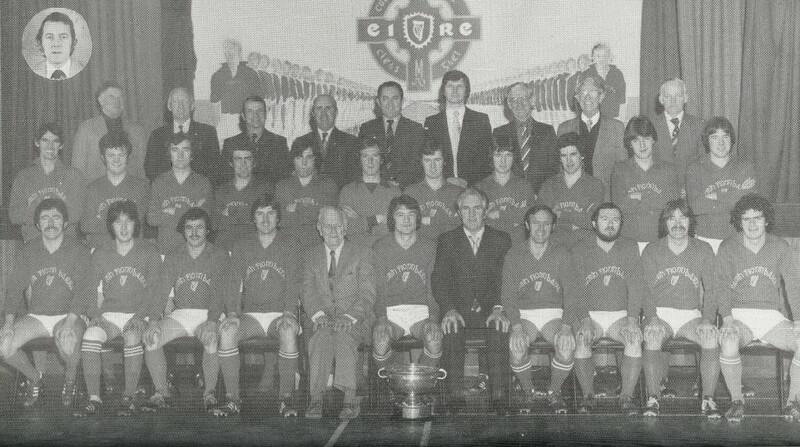 Barrâs had more than a point to prove when they met Blackrock in round two of the â72 county. The bitter fires of the previous meeting were still smouldering and the Barrâs gained sweet revenge when banishing the champions from the title race with a resounding 6-11 to 1-14 victory. Unfortunately, they left that form behind when decisively defeated by Glen Rovers in the semi-final. Jimmy Barry Murphy, a promising soccer player in his school days, experimented with the garrison game for a few months and as a consequence was omitted by the selectors until restating his first allegiance to the club. He was back for key clashes with respective county champions Nemo and Glen. Nemo were defeated in a close low scoring encounter while the hurling clash will be remembered for Con Rocheâs amazing equalising point â ref Frank Murphy informed Rochie that his 100 yard free was to be the last puck of the hour. His shot sailed between the posts and into the Atlantic Pond. Many unsavoury incidents resulted in the teams finishing the game with 13 players. Even though the Ban was gone players were ordered by clubs to refrain from playing other games. Not all concurred and Barrâs lined out for the replay without the talismanic Rochie who had ignored orders when helping Flanneryâs in a Pub League soccer match. The fundamentalists had their supporters but liberals (mainly supporters) felt they were cutting off their nose to spite their face. Glen won 4-13 to 3-10.Cork won their first All-Ireland Senior Football since 1945 when they defeated Galway and a key figure was Jimmy Barry Murphy who netted twice for the rebels. Front: C McCarthy, T Butler, S Gillen, M Murphy (chairman0, J Power (capt), C Neenan (pres), M Archer, G McCarthy, J OâShea, C Myers. Middle: B Scully, T Maher, J Barry Murphy, D OâGrady, M OâMahony, C Cullinane, S Canty, B Wylie, B OâBrien, C Barrett, E Fitzpatrick, C Roche. Back: john Barry Murphy, J Twomey, M Kennefick (coach), J Murphy, J Mehegan, P Canton (sec), M Finn (treas), D OâDriscoll, V OâRiordan, D Cremin, T Mullane, P Doolan. Insets: J McCarthy, S Looney, D Burns. 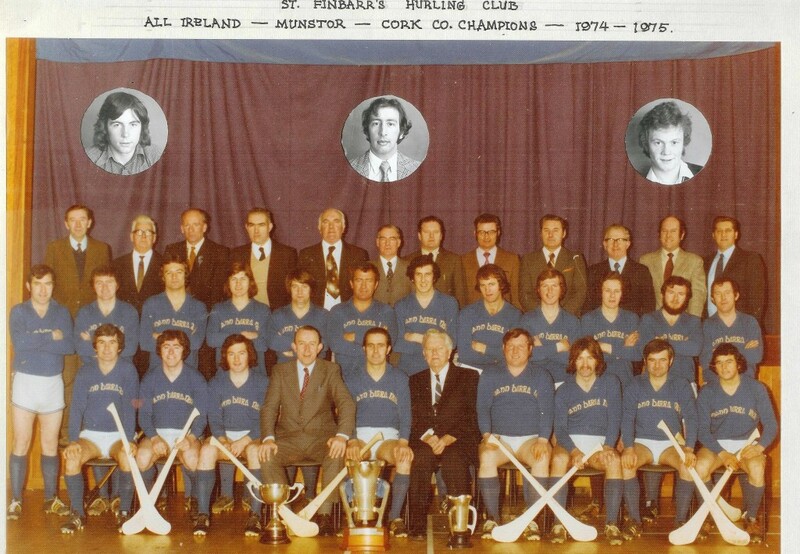 Barrâs met Blackrock at the Mardyke in the 1974 County final and the men from the fishing village were installed as favourites, mainly as a result of the doubts surrounding the fitness of many of the Barrâs stars. One supporter, a super optimist, had no fears; âBarrâs men would rise from their graves to play the Rockiesâ, he said. Not unexpectedly Barrâs lined out almost at full-strength and Michael Ellard of the Cork Examiner summed it all up, âthe golden day at last dawned for the wounded warriors of St Finbarrâs when they confounded the critics, tore the form book to shreds and sent pre-match verdicts haywire with a sweeter than sweet victory over champions Blackrock in a stirring County Senior Hurling Championship Final. And who could blame them as they trooped from the scene of their magnificent triumph with the Sean Ãg Cup firmly in their grasp for the first time since 1968.â Rochie was back in favour again and Ellard, nominating him as Man of the Match, said, âfor over 40 mins. Roche with a heavily strapped knee was immobile. He amazed the spectators with his sudden revival â a Lazarus of Sport. But it was human not divine intervention that led to the metamorphosis (what a word) of Con Roche. After being taunted by a Rockies man the injured Roche, who was lying on the ground, sprung up and âbateâ ball after ball into the opposing half to inspire a famous victory. Barrâs had stars in every sector, the big names being inspired by the non stop aggression of lads like Eamon Fitzpatrick, Barry Wiley, Bertie OâBrien, Denis Burns, Sean Canty and Jerry OâShea. Barrâs: J Power, T Maher, S Canty, D Burns, C Roche, B OâBrien, T Butler, G McCarthy, B Wiley, E Fitzpatrick, S Looney, S Gillen, C McCarthy, J Barry Murphy, J OâShea. Subs: C Cullinane, B Scully.Barrâs went on to win the Munster Club title defeating Newmarket on Fergus. Played in mid January the game was more a test of stamina and endurance than of skill. Nearly everyone remembers that day mainly because of the horrific shin bone injury suffered by Bernard Scully which brought his career to an end. They went on to claim their first All-Ireland Club title defeating a star-studded Fenians (Kilkenny) which included Nicky Orr, Pat Henderson, Pat Delaney and Billy Fitzpatrick in their side. There were four Fitzpatricks on the field the best of whom was the lone Barrâs star Eamon. JBM stole the show and the so called âlesser lightsâ like Charlie Barrett and Tony Butler outshone most others. JBM stayed in Dublin and netted a record breaking four goals as Munster defeated Ulster in the Inter-pro and was later (too late) introduced as a sub for the hurlers beaten by Leinster. Could you imagine an All-Ireland Club Championship winning side being defeated by SeandÃºn? Of course not! But SeandÃºn had previously knocked the county holders off their perch and nothing was impossible. 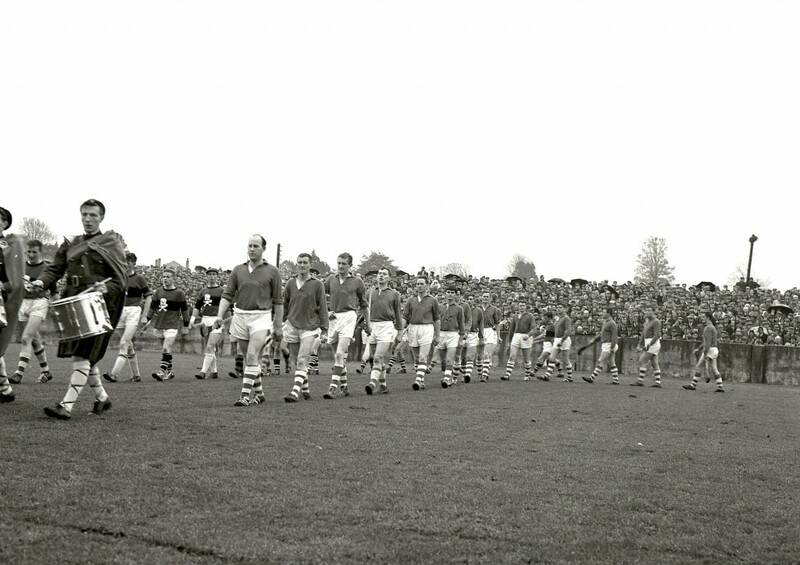 They caused the greatest upset in the history of the Cork Senior Hurling championship when ushering the famous Blues out the door. Could the footballers save the year? They were quietly fancied to do so but, despite being the better team for 57 minutes, they lost out to Nemo in a semi-final replay. There definitely was a county in that squad and twelve months later they celebrated when defeating gallant St Michaelâs to bring the cup back to Togher for the first time since 1959. B OâBrien, D OâGrady, S Looney, N Ahern, Gerald McCarthy, C Ryan, Des OâGrady, F Twomey, R Kenny, Gerry McCarthy, J B Murphy, J OâCallaghan, C Myers, E Fitzpatrick, O McCarthy. The year had an unhappy ending as with the Munster Club title, seemingly, in the bag they were mugged by Austin Stacks in Tralee. Leading by a point with seconds remaining they conceded a penalty deep in injury time which Mikey Sheehy scored. Barrâs Senior Football champs 1976. Back: T Veale, S OâSullivan, J Spillane, T OâSullivan, M OâSullivan, L Hodnett, A Sheehy, T Redmond, D Hurley. Inset: P Lougheed. Middle: F Twomey, D Burns, O McCarthy, D Brosnan, J McCarthy, B OâBrien, T Goulding, B Collins, J Cremin, R Kenny, C Ryan. Front; T Butler, Des OâGrady, C Myers, Donal OâGrady, C Neenan, J Barry Murphy, J OâDriscoll, N Aherne, E Fitzpatrick, G McCarthy, J OâCallaghan. âThe McCarthyâs, Charlie and Gerald, and JBM shooting rays of brilliance to dazzle Blackrock acted as beacons in the fading light which enveloped the Park to guide the Blues to the final of the 1977 Championshipâ. (Mick Ellard, who else!). This set the scene for another Barrâs/Glen final for which an estimated 45,000 thronged the Park. âDown the corridors of time, glorious triumphs have been achieved by St Finbarrâs, but yesterdayâs victory over Glen Rovers in the final will always hold an extra special place of affection in the hearts of those staunch and most loyal supporters of the Leeâ, wrote Ellard. Glen (holders) and All-Ireland champions were decisively beaten by the rampant Blues who held their illustrious adversaries scoreless in the second half. (full report in Sean Beecherâs âThe Bluesâ). Barrâs: J Power, D Burns, T Maher, B Manley, Donal OâGrady, N Kennifick, J Murphy, J Cremin, G McCarthy, J Allen, J Barry Murphy, B Wiley, C Ryan, E Fitzpatrick, C McCarthy. Barrâs added the Munster title to the trophy room when they defeated Sixmilebridge (Clare) comfortably at the second attempt. They were lucky as it was a last gasp equaliser in the first match at fog bound Tulla which earned them the replay. 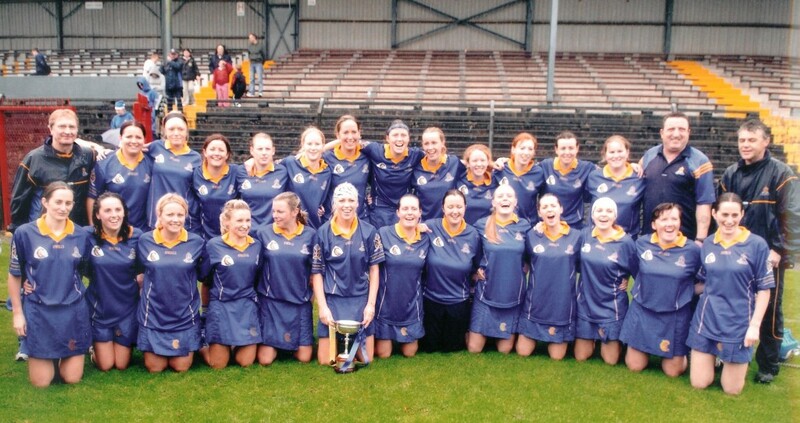 They went on to record their second All-Ireland triumph when seeing off the brave challenge of Rathnure in an entertaining final at Thurles. Barrâs Senior Champions 1977. Back; Brendan OâShaughnessy, Bertie OâBrien, John Foster, Jerry OâShea, Jim Power, Christy Ryan, Brendan Manley, Malachy Kennedy, Charlie Barrett, Donal OâGrady, Con Roche. Front: Seamus Gillen, Tony Butler, Jimmy Barry Murphy, John Allen, Denis Burns, Gerald McCarthy, Charlie McCarthy, Eamon Fitzpatrick, Gerry Murphy, Barry Wiley, John Cremin, Tony Maher. There was little time for Barrâs to savour their coronation as, within ten days, they faced Glen Rovers in the opening round of the â78 championship. It was a miserable outing for the Blues who only managed to register 1-2 over the hour. Fortunately they remained in with a chance of retaining the title as the County Board experimented with a league system in an effort to provide more games for the weaker rural teams. They lost again when beaten by Blackrock but still qualified for the semi with wins over UCC and Sars. Their surprising inconsistency was hard to fathom and they paid dearly when defeated by the Glen in a controversial semi-final. The football final was contested by Nemo and St Michaelâs, two teams defeated by the Barrâs in the league stage of the championship. Michaelâs availed of a second opportunity to blow the Blues out of the competition. One âBarrâs player, Marie OâSullivan, created her little bit of history by becoming the first (since they were reformed) lady to bring a Senior Camogie All-Ireland medal to the club; she was a member of the Cork team which defeated Dublin in the 1978 decider. Both sides qualified for their county finals in 1979. First in action were the hurlers who, despite a magnificent performance from custodian Ger Cunningham, couldnât prevent Blackrock from winning its record breaking 28th title. Two weeks later five of the defeated hurling side were back in Pairc Ui Chaoimh for the football decider. There was to be no further disappointment as they rarely put a foot wrong in overwhelming up-and-coming Castlehaven. Such was their accomplished performance that the elders out in Togher rated them ahead of the lads who brought three titles to the club in the late fifties. The game was a personal triumph for dual star Christy Ryan whose midfield supremacy paved the way for the success. Barrâs : B OâBrien, Donal OâGrady, M Healy, N Ahern, D Brosnan, G Desmond, Des OâGrady, M Lynch, C Ryan, F Twomey, R Kenny, F OâMahony, J Barry Murphy, J Allen, J McCarthy. Sub: J Cremin. Barrâs County Champions 1979 & â80,-All-Ireland Club champions 1980. Front: J Cremin, D Brosnan, E Fitzpatrick, J OâBrien (chairman), C Ryan (capt 1980), J Twomey (pres), N Aherne (capt 1979), M Keating (ch â80), J Callaghan, C Myers, D Barry, J McCarthy. Middle: G Desmond, B Kelleher, J Barry, R Kenny, Donal OâGrady, B OâBrien, B Driscoll, M Lynch, F OâMahony, D Philpott, M Healy, D Burns, J Barry Murphy, J Allen. Back: T Mulcahy, D Hurley, C Mohally, L Hodnett, J Driscoll, M OâMahony, P Lougheed, T OâSullivan, D OâKeeffe, T Veale. Insets: F Twomey, M Carey, J Spillane, D OâGrady, A Sheehy. On the first day of December the decade came to a successful conclusion when Kilrush were defeated in the Munster Club Football final. The inspirational Gerald McCarthy, one of the greatest hurlers of all time, brought the curtain down on his glorious career when he announced his retirement from the game. During the seventies there was resurgence in the prominence of football and the future of the code looked bright as three u21 and three minor county championship wins were celebrated in the club. The All-Ireland Feile Na nGael Championship inaugurated in 1971 was won by the Barrâs in 1978. Gerald and Charlie McCarthy and JBM were on the Cork team which won three in a row hurling titles. That trio along with Tony Maher and Con Roche all gained All â Star recognition. JBM was honoured in hurling and football. The eighties was a time of ongoing celebrations in St Finbarrâs beginning with an All-Ireland Club Football victory when inspired by the devastating Jimmy Barry Murphy they put St Grillainâs (Ballinasloe) to the sword in Tipperary Town. They were not flattered by the 3-9 to 0-8 verdict which saw them become the first club in the land to win All-Ireland Club titles in both codes. They were brought back to earth with a bang when defeated by Nemo in the championship (league system). It wasnât then a back door but a revolving door and they came through it in some style when reversing the Nemo result in the semi-final. Then, before one the smallest crowds (4,500) to watch a county footfall final, they saw off the brave challenge of UCC in the final. Barrâs: B OâBrien, Donal OâGrady, M Healy, G Desmond, M Carey, C Ryan (capt), J Cremin, M Lynch, D Philpott, F OâMahony, T Holland, D Barry, J OâCallaghan, J Allen, J Barry Murphy. Hopes of the 1980 double were enhanced when Barrâs arrived with a late surge to overtake unlucky Midleton in the hurling-semi. Barrâs supporters feared that the Glen who, since their first in 1934, had never gone more than three years without a title would rise to the occasion again. They played well in a good contest which, because of the closeness of the score, produced great excitement. In the end Barrâs did enough to record the first double since UCCâs feat in 1963. Barrâs : G Cunningham, Tony Maher, Donal OâGrady, J Blake, D Burns, B OâBrien (capt), N Kennifick, J Murphy, J Cremin, Thomas Maher, C Ryan, M Kennedy, E Fitzpatrick, J Barry Murphy, C McCarthy. Sub: J OâShea. Now the Blues supporters started to dream of an All-Ireland Club double. 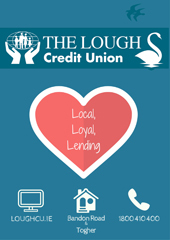 The first step was completed when Roscrea (hurling) and Stradbally (football) were defeated in the Munster finals. Ballyhale Shamrockâs (Kilkenny) ended the dream when defeating the hurlers by 1-15 to 1-11 in the decider. Two weeks later the footballers created their own history, winning back-to- back titles, by defeating Walterstown (Meath) at Croke Park. There would be no three-in-a-row as a few months later, playing poorly, they were knocked out of the 1981 championship by Nemo at the penultimate stage. It was now up to the hurlers who were anxious to make up for their All-Ireland final defeat by first of all regaining the county. Midleton who must have been sick to death of semi-final meetings with the Blues again barred the way. And, once more, the classy east Cork side just came up short. This time it was the brilliance of Barry Murphy and Ger Cunningham which proved to be their downfall in a thriller. Hurling supporters who had an abundance of classics to savour were delivered another when Barrâs put their title on the line for a meeting with the Glen. Retribution was on the Glenâs mind and they hurled with traditional fire and courage but at the end of a mighty struggle class triumphed over north side passion. Barrâs; G Cunningham, J Hodgins, D OâGrady, J Blake, B OâBrien, J Allen, N Kennefick, J Cremin, J Meyler, T Maher, C Ryan, g Murphy, E Fitzpatrick, T Finn, J Barry Murphy. Subs: D Burens and M Kennedy. There was to be no atonement for the previous yearsâ All-Ireland defeat as Clare champions Newmarket on Fergus had a surprisingly comfortable ten point margin over the Cork team in the provincial semi-final. 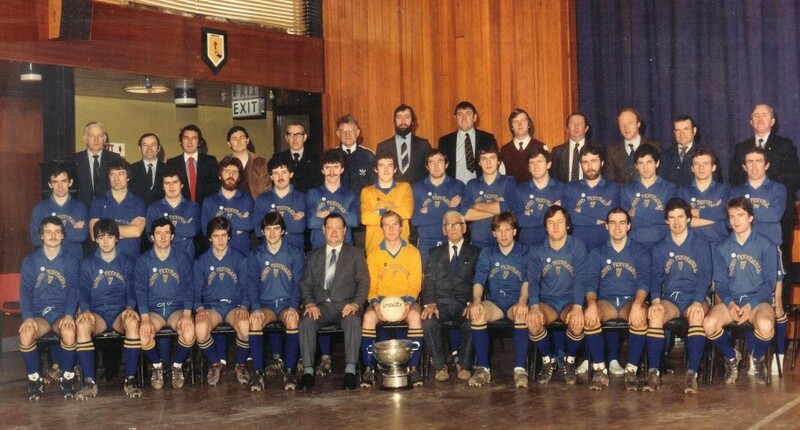 County Champions 1980-â81-â82. Front: J Cremin, J Hodgins, n Kennifick, B OâBrien, M Murphy, E Fitzpatrick, J Twomey, J Blake, T Maher, K OâDriscoll, J OâShea, C McCarthy, T Finn. Second row: C Ryan, J Barry Murphy, J Meyler, D OâGrady, D Forde, J Kelly, G Cunningham, F Scannell, G Murphy, P Goggin, P Barry, W Cashman, M Kennedy, J Kerins, J Allen, V Twomey, T Maher. Third: J Russell, J OâGrady, D OâDriscoll, M Bracken, T Mullane, P Canton, C Barrett, F Ramsey, J Burns, J Mehigan, G McCarthy, S Looney, C Roche, D Cremin. Back: S Beecher, M Finn, D Harrington, T Kirby, S Gillen, J Casey, P Finn, T Goulding. The following year, 1982, the draw was once more unkind to Midleton who again drew the short straw when paired with the Barrâs in the semi. The result didnât change either â another narrow win for the Blues . This hard earned victory stood to their advantage as a few weeks later they outhurled and outclassed Blackrock, who depended too much on hat trick scorer Ray Cummins, in an exemplary final. Mick Ellard, writing in the Examiner, described the performance as, âthe finest he had ever seen in a county finalâ. Barrâs : G Cunningham, D Burns, D OâGrady, J Blake, J Hodgins, J Allen, N Kennifick, J Cremin, W Cashman, C Ryan, T Maher, J Meyler, V Twomey, J Barry Murphy, T Finn. Sub: B OâBrien. Much was made of the fact that the three-in-a-row completed by the Blue was their first since 1906. Barrâs were on a hiding to nothing when they faced rank outsiders Duhallow in the football decider. They must have believed the hype because, even though they won, performed poorly and were glad to hear the final whistle. Barrâs : B OâBrien, J Cremin, J Meyler, E Desmond, D Philpott, C Ryan, M Carey, T OâReilly, T Holland, D Barry, J Barry Murphy, D Brosnan, J OâCallaghan, J Allen, F OâMahony. Subs: T Leahy, M Lynch. County and Munster Champs 1982. Back: D Hurley, T Mulcahy, P Lougheed, D Murray, T Murray, J Casey, S Looney, J Corcoran, G OâNeill, J Sweeney, D OâKeeffe, J Spillane, T OâSullivan. Middle: V Twomey, J barry Murphy, J OâCallaghan, G Desmond, G Moran, T OâReilly, J Kerins, C Ryan, R Kenny, M Lynch, J Allen, T Holland, M Carey, D Brosnan. Front: F OâMahony, T Leahy, F Scannell, J Kelly, F Ramsey, M Keating (chairman), B OâBrien (capt), J Twomey (pres), D Barry, J Meyler, D Philpott, J Cremin, N Kennifick. A third All-Ireland Club title eluded that squad as they were beaten by Portlaoise in the semi-final. The attention switched to the county series and progress was disrupted in the semi final when they went under to arch rivals Nemo Rangers. Meanwhile the hurlers were installed as favourites to win their first four-in-a-row. Midleton, for the first time, managed to avoid the Barrâs in the semi and instead faced them in the decider. Few could begrudge the Magpies their first title. But the timing of their belated arrival was not to the Blues liking. However, to Midleton went the honour of laying the bogey with a deserving two goal victory. Midletonâs reign was briefly interrupted and the following year Barrâs regained their crown. They began by knocking out Glen Rovers in the first round and finished the campaign in style with an 8 point win over Ballyhea in the Centenary decider. âAkin to the atmospheric gloom that shrouded Pairc UÃ­ Chaoimh Ballyhea were enveloped in a mantle of despair as St Finbarrâs achieved their glittering goal of winning the Cork County Senior Hurling Championship title in the Centenary Year.â Barrâs 1984: G Cunningham, W Cashman, D OâGrady, J Blake, F Ramsey, N Kennifick, J Hodgins (capt), T Maher, J Cremin, J Meyler, D Walsh, C Ryan, E Fitzpatrick, J Barry Murphy, T Finn. Subs: V Twomey, J Allen. Later in 1984 the crowning touch was put to 100 years of success, both on and off the field, when they were adjudged to be the best GAA club in the land. It was a marvellous honour for the club to win the award, from over 500 entries, in the Centenary Year. A Centenary Year double was on the cards especially with Nemo out of the way. However, East Cork divisional team Imokilly created a huge surprise when ending the star studded Blues dream in the final. The Blues were plunged into mourning when Imokilly dealt their pride a savage blow. At âkindergardenâ level the babes made it a centenary to remember when defeating St Brigidâs (Dublin) in the All-Ireland FÃ©ile Peil. And, for good measure, the reformed Camogie team which won their first junior championship in 1981 repeated the feat again. They were captained by the illustrious Claire Cronin the former Old Allâs player who won four All-Ireland Senior medals with Cork and who just twelve months earlier (â83) was named as the âB & I Camogie Player of the Yearâ- surely the transfer of the decade. Margaret Farrell, the former UCD and Kilkenny star, was another high profile Inter County player to choose the Barrâs when she arrived in Cork. She won her third All-Ireland Senior Medal when starring on the Kilkenny team which defeated Dublin in 1985. She provided the experience, along with Claire Cronin, on the talented Barrâs squad, containing several all-Ireland minor and junior medallists, which won three Intermediate League titles on their march to senior ranks. Barrâs footballers were becoming a real yo-yo team and sprung back in great style to regain their crown when overcoming Clonakilty, conquerors of Nemo, in the 1985 county final.â Early Blitz Decides Itâ â âClons Courageous Comeback Failsâ, was the âExaminerâsâ banner headline. And it continued, âBarrâs mission of atonement was successfully completed at Pairc Ui Chaoimh yesterday after they withstood a gallant comeback from Clonakilty to win their Eighth Countyâ. The shock and horror of the previous years defeat vanished in the full glow of the joyous triumph. The final score was 1-10 to 0-9. Barrâs: J Kerins, J Cremin, J Meyler, K Scanlon, M Carey, E Desmond, D Philpott, P Hayes, C Ryan (0-2), B Searls (0-1), D Barry (0-5), M Slocum (0-1), J Barry Murphy (1-1), D OâMahony, T Leahy. Subs: R Kenny, K McCarthy. County Champs 1985. Front: P Hayes, J Cremin, G Desmond, D Barry, J Meyler, K McCarthy. Back: M Slocum, C Ryan, J Barry Murphy, J Kerins, K Scanlon, D OâMahony, M Carey, D Philpott, T Leahy. The pendulum swung the other way in 1986 and this time Imokilly proved their win in 1984 was no fluke when again ambushing the Barrâs in the final, this time by the slenderest of margins. With divisional teams not allowed compete the All-Ireland Club Barrâs were the Cork standard bearers and ultimate victory at Croke Park would just about compensate for the loss of the county title. A magnificent semi-final replay victory over Castlblaney Faughs earned them the right to play for the jackpot against Clan na Gael. A splendid back-line paved the way for their subsequent 0-10 to 0-7 victory at Croker. A performance rich in character propelled them to their third All-Ireland title. It took courage to win because of the horrendous conditions that prevailed but the Blues rose above the challenge of the elements and broke the hearts of Clan na Gael in the process. Gifted dual star Dave Barry was omitted from the Barrâs team after he had opted to play for Cork City against Derry instead of the semi with Castleblaney. Barrâs: J Kerins, J Cremin, J Meyler (capt), G Desmond, M Carey, K Scanlan (0-1), B OâConnell, P Hayes, T Leahy (0-4), K McCarthy (0-2), C Ryan (0-1), M Slocum, T Power, D OâMahony, J Allen (0-2). As All-Ireland champions much was expected in 1987 but they disappointed in the county championship. Every campaign commenced with Barrâs slightly behind favourites Nemo on the bookmakers lists. An enigmatic period followed between 1989-â91 when they contested three finals in a row; a defeat by Castlehaven in â89 wasnât totally unexpected but the back-to-back losses to Duhallow were hard to accept. Opportunities to erase the memories of unpalatable county final losses werenât availed of in the Munster Club series when exiting early on in both campaigns. County Champs 1988: Back: C Roche, T McCarthy, P Canton, J McCarthy, B Scully, S Looney, T OâShaughnessy, J OâShea, D Harrington, J Mehigan, C McCarthy. Middle: M Finn, F OâBrien, K Kiely, C OâMahony, C Finn, J Linehan, J Tobin, J Griffen, C Buckley, B Cunningham, J Meyler, P OâLeary, C Ryan, N Kennefick, T finn, S McCarthy. Front: J Hodgins, E Fitzpatrick, J Cremin, W Cashman, P OâShea, T maher, G Cunningham, D Cremin, F Ramsey, B OâConnell, J Blake, M Barry, S OâLeary. New kids on the block began to emerge as the eighties wound to a close and the future looked distinctly rosie. The under age committee were ecstatic as their colts grew up to claim four minor hurling counties in a row between 1990 andâ93 and for good measure two u21 championship trophies 1990 -â91 were also brought to the club. âA sporting achievement of immense proportions was savoured to the full by St Finbarrâs at Pairc Ui Chaoimh yesterday (Oct â93), when the quest of a heroic pride of young lions for their famous clubs 25th Cork County title was accomplished with great joyâ, wrote Mick Ellard under the Examiner banner headline âBarrâs are Kingsâ. It was the second helping of a feast of hurling delivered because Carbery and St Finbarrâs couldnât be separated when they both tallied 1-17 in the first encounter which left the frenzied fans begging for more. And, it was only by the slenderest of margins that two great teams were separated in the classic replay. Barrâs coach the legendary Charlie McCarthy, who had in his day experienced mighty triumphs, described it as one of the best wins in our history. Skipper Micky Barry said, âThe tension and excitement of the last few minutes will live forever in the memoryâ. Barrâs who played without the injured Brian Cunningham lined out as follows: G Cunningham, T Doolan, C Ryan, J Kennedy, J Griffen, S OâLeary, N Leonard, F Ramsey, B OâShea (0-7), I OâMahony (0-1), M Quaid (1-1), E Griffen (0-2), M Ryan (0-1), M Barry (0-2), P Forde. Subs: C Duffy, P OâLeary. J OâConnor played in the drawn game and T Finn was a sub. 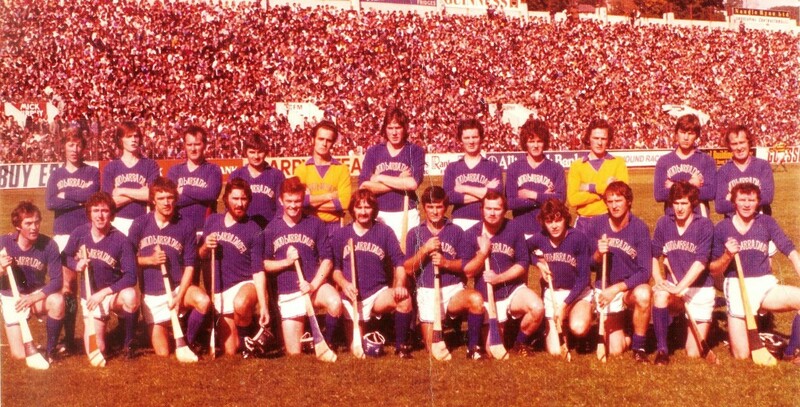 The success meant that the Blues maintained their proud record of winning at least one County Senior Hurling title every decade since 1890. And the Examiner scribe, on the evidence of the brilliant performance, said, âthere is every reason to suggest that the remaining years of the century will be very fruitful for themâ. Instead that historic date, 17-10-1993, continues to be one that every Barrâs person wishes to be wiped from the memory. 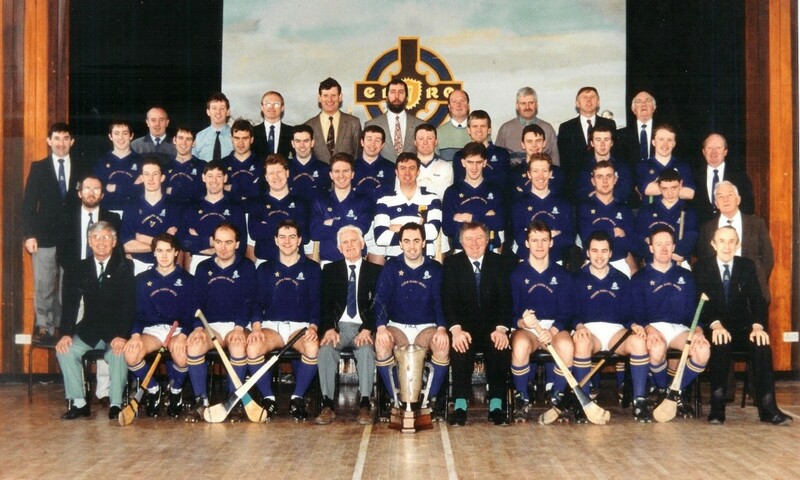 Barrâs County Senior Hurling Champions 1993. 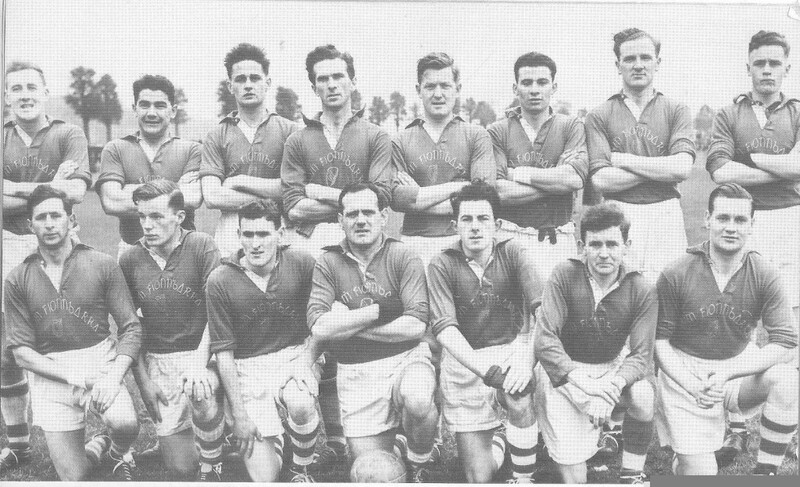 Back Row: Jim McCarthy, Stephen Murphy, Sean McCarthy, Jimmy Murphy, Seamus Looney, Bertie OâBrien, Frank Atkins, Michael Bracken, John Meghan. Third Row: Denis Harrington, Peter OâDonovan, Joe Kennedy, John Griffin, Finbarr Lehane, Billy OâShea, Fergal OâMahony, Michael Quaid, Niall Hosford, Paul Forde, Ivan OâMahony, Ray Kellegher. Second Row: Eamon Fitzpatrick, Anthony OâRegan, Noel Leonard, Conor Ryan, Brian Cunningham, Ger Cunningham, Tony Doolan, Seamus OâLeary, Eoin Griffin, Michael Ryan, Tony Shaughnessy. Front Row: Charlie McCarthy, Colm Duffy, John OâConnor, Frank Ramsey, Dinny McCarthy, Michael Barry capt. ), Tony Maher, Paul OâLeary, Michael Burke, Tim Finn, Michael Murphy. Two weeks after the 25th title hurling milestone was achieved Barrâs footballers had the opportunity of embellishing the year by adding another County double to their history. Nemo provided what proved an insurmountable obstacle and coasted to a nine point victory in an uncompromising final that failed to sparkle. Before departing from a record breaking decade it would be remiss of me not to pay tribute to the vibrant camogie section led by the inspiring Marian McCarthy whose teams from u14 Feile up to Intermediate grade won 27 trophies. Added to that, 12 Barrâs ladies won Camogie All-Irelandâs. A trend developed in the eighties when high profile inters county GAA manager/coaching appointees began stealing the limelight from players. Former Barrâs inter-county players were in great demand and, as one resigned or retired from top posts, were replaced by other Blue bloods. And, despite the apparent decline in the standard of hurling in their own abode during the nineties, an illuminating CV from the University of Hurling in Togher was the equivalent in GAA circles as a degree from Trinity, UCC, Harvard or Cambridge was for business. The glorious eighties ended when Barrâs players John Kerins, Mick Slocum and Dave Barry, three All-Star recipients, brought the Sam Maguire Cup to Togher after they had helped Cork defeat Mayo in the All-Ireland Football final. The trio were on the side which retained the title the following season, 1990 the year of the double, when they were joined on the team by Paddy Hayes. Ger Cunningham picked up his third Celtic Cross when Cork defeated Galway to win their 27th All-Ireland Senior title. In 1992 Colette OâMahony, the original camogie queen, won the first of her three Duffy Cup (All-Senior Camogie) medals when finishing leading scorer with 10 points as Cork defeated Wexford in the final. She was as accurate in â93 when Kilkenny and Wexford were put to the sword. For Colette it was golden compensation for the disappointment of Barrâs senior county final defeats by Glen Rovers. In the last year of the Millennium an eight year barren period for Cork hurlers ended when Jimmy Barry Murphy, the new Messiah, coached Cork to an unexpected victory over mighty Kilkenny. Missing from the line-up for the first time in 18 years was four time All-Star Ger Cunningham, Corkâs longest serving goalkeeper, who retired at the end of the previous season. Barrâs supporters accustomed to county triumphs endured a very lean period throughout the final decade of the Millennium. Sixteen underage County Championship trophies provided huge consolation and the ultimate reward for the valiant efforts of the various committees but the fact that those victories were no longer translating into senior successes was and still is a cause of major concern. During the early part of the first decade of the new millennium county titles, and all sporting achievements for that matter, were put into perspective as a gloom descended over St Finbarrâs and the whole country when the untimely death of the great John Kerins, aged just 39, was announced on 21 August 2001. When Jimmy Barry Murphy retired as Cork hurling manager in 2003 he was replaced by Donal OâGrady who, in his second season in charge, brought the McCarthy Cup back to Cork. John Allen took over the reigns from his former playing colleague and, under his stewardship, the All Ireland title was retained in 2005; so, three times in six years, Barrâs managers guided Cork to All-Ireland glory. All-Star Ronan Curran, rated the finest centre-back in the country, was on the winning teams 2004-5. A county senior championship victory was celebrated in the Barrs Club for the first time in 13 years and it was to the ladies section that the honour fell. Coached by the legendary Gerald Mac and trained by Billa OâConnell, no not the comedian, they won the title for the first time in their history when, captained by Cork star Lynda OâConnell, they defeated Imokilly in the final at Pairc UÃ­ Rinn. Leading scorer in the campaign was the indefatigable Colette OâMahony and the supporting cast included three-time All-Star and Vodafone Camogie Player of the Year Gemma OâConnor, All-Ireland Senior medalists Ellen Clifford, Jenny Duffy and Viv Harris. The victorious panel read: Ellen Clifford, Claire Harrington, Colette Kirby, Maria McCarthy, Lynda OâConnell, Jenny Duffy, Claire Kirby, Viv Harris, Ber Maher, Rachel Myers, Gemma OâConnor, Aoife McCarthy, Orla OâSullivan, Claire Spellman, Colette OâMahony, Barbara Ann Corcoran, Catherine Barrett, Mary Collins, Catriona Myers, Susan OâConnell, Val Hosford, Niamh Cooke, Susan Kennefick, Niamh McKenzie, and Rachel OâRegan. There was further glory for Gemma when between 2007-09, inclusive; she made it six consecutive All-Star Awards. Barrâs were back in the finals again in the succeeding years (1908-09) when they were defeated by Muskerry and Douglas respectively. Cork went on to win All-Ireland Senior Camogie titles in 2008 and â09 and Gemma was joined on the honours list by Lynda OâConnell, Jenny Duffy and Orla OâSullivan. Barrâs County Senior Camogie Champions 2006. Back: Gerald McCarthy, Caitriona Myers, Niamh McKenzie, Val Hosford, Catherine Barrett, Susan OâConnell, Claire Spellman, Gemma OâConnor, Jenny Duffy, Niamh Cooke, Rachel OâRegan, Viv Harris, Barbara Ann Corcoran, Bill OâConnell, Jerry Murphy. Front: Claire Kirby, Claire Harrington, Rachel Myers, Ber Maher, Orla OâSullivan, Lynda OâConnell (capt. ), Maria McCarthy, Ellen Clifford, Susan Kennefick, Aoife McCarthy, Mary Collins, Colette OâMahony, Colette Kirby. Barrâs footballers were in the doldrums in 2008 being relegated for the first time since upgrading to senior in 1946 when defeated by Douglas on a miserable Saturday afternoon in Shanbally. In that time of adversity the Blues regrouped and, displaying great resilience and determination, dug themselves from the black hole to again reach the summit when they defeated St Vincentâs in the Intermediate Championship final. The club has won Cork County Senior Championships in every decade bar the first decade of this century. This proud record was almost upheld in 2009 when they reached the final in the Cork County Senior Football Championship only to lose out by a point to Clonakilty. They were back in the final again in 2010 but after a fantastic opening twenty minutes they succumbed to the might of Nemo. At least one âBarrâs star, Michael Shields, ended the decade on a high when gaining his second consecutive All-Star Award; due recognition for outstanding performances which yielded an All-Ireland Senior medal in 2010 when Cork defeated Down. The long wait for a senior championship continues but it is no harm to remember that plight is shared by the famous. The most honoured team in history Blackrock (32 titles) went 25 years without success and arch rivals Glen Rovers have yet to bridge a 22 year gap. Compare those to the fact that Man Utd. survived for 26 years (1967-â93) without a Championship win and mighty Liverpool are still awaiting their first Premiership and theyâve been waiting longer the Barrs â â21 years for their luck to change.